BMW Williams F1 Performance Longsleeve. 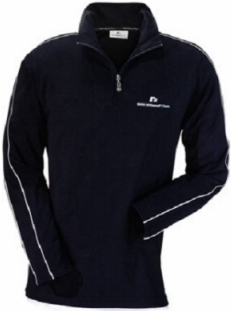 Dark blue, sporty-look longsleeve with stand-up collar and zip. White piping over shoulder and sleeve. Small BMW Williams F1 Team logo on the left front and nape of neck.